United Skates hosts over 200 private parties and events annually. Private events for schools, businesses, churches, and groups of all sizes. We have hosted the New England Patriots (twice) and many other business functions. More information on Private Parties. At United Skates of America, private parties are our specialty!! We host over 200 private parties and fund raisers annually. Private events for schools, businesses, churches, and groups of all sizes. We’ve hosted the NEW ENGLAND PATRIOTS (twice), and many other business functions. We’re experts at helping you plan your fun or fund raising event. More information on School Parties. 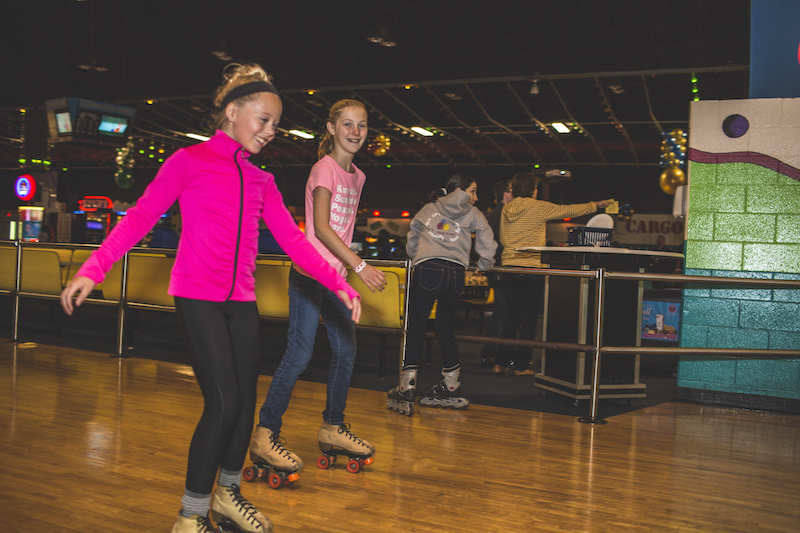 United Skates hosts over 200 private parties and fund raisers annually. Private events for schools, businesses, churches, and groups of all sizes. We have hosted the NEW ENGLAND PATRIOTS (twice) and many other business functions. We’re experts at helping you plan your fun or fund raising event. Attention Camp Directors!! The field trip you’ve been waiting for is right here at United Skates of America. All summer long we offer a terrific program for camps, YMCAs, Park and Recreation depts. or any summer group. Our packages include any combination of skating, lasertag, rock climbing, and food packs from our Cosmic Café. Make us a part of your weekly summer program. More information on Summer Camp. If you’re looking for a great fun time packed with activities for your daytime group or FIELD TRIP, look no further. 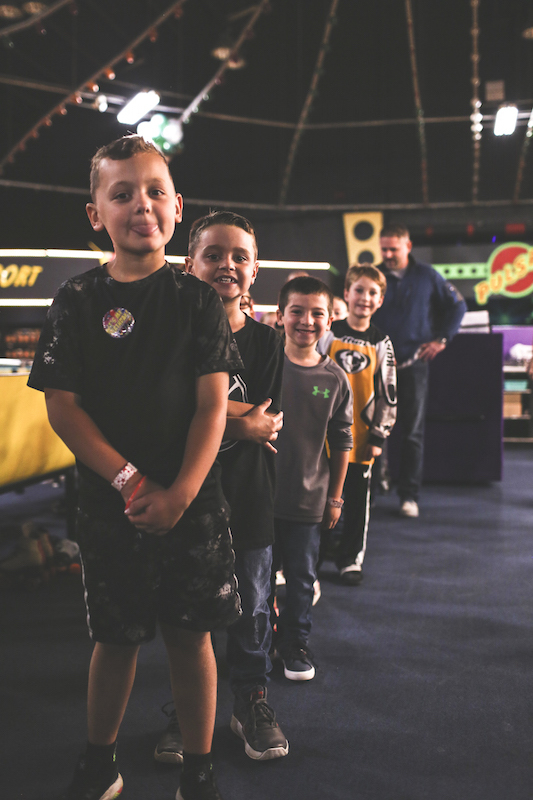 At United Skates, we host hundreds of groups and field trips every year. You can schedule during the day or during PUBLIC SKATING times. Just call for a group rate. Or plan your private time during the day for your individual special event. More information on Field Trips. WE LOVE SCOUTS! Group discounts, overnight parties, fund raisers,we have it all. 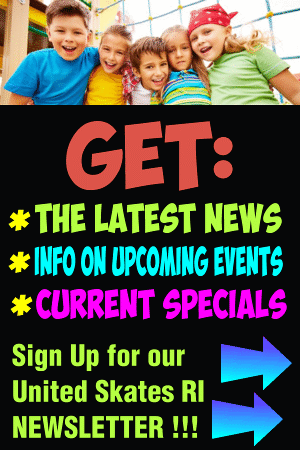 At United Skates of America we plan the most fun packed events for Girl Scouts and Boy Scouts. Our overnight programs are full of food, fun, movies, and activities, to keep you smiling all night. Group rates are available during any public skating session. Whether you have 50 or 500 guests or more, we have a program to fit your needs. We’ve hosted groups and businesses of all sizes (over 200 private parties annually) including the NEW ENGLAND PATRIOTS (twice). We can help you theme your event, decorate, plan family games, or adult team building activities. More information on Corporate Parties. Book Your Event at United Skates Today! 2019 © United Skates of America in Rhode Island All Rights Reserved.